I read these essays in college, b ut now they seem to have deeper meaning now as I look at the world and I look at us – those of us who claim to be leaders but who are not, having stolen the title with nothing to back it up, and those of us who are striving to be quintessential leaders, committed to that goal, and, yet, as mere humans often falling far short of it – and I see more of the things that get in our way, even if we are committed and trying, and if we’re not, what we can never overcome. Orwell’s essay, “On Shooting an Elephant,” made a lasting impression on me, even when I was in my teens and reading it in a college class. My heart broke for both Orwell and this poor innocent elephant that died a slow and gruesome death. But what struck me more even then was the devastating effect of British imperialism on both its natives and its subjects. 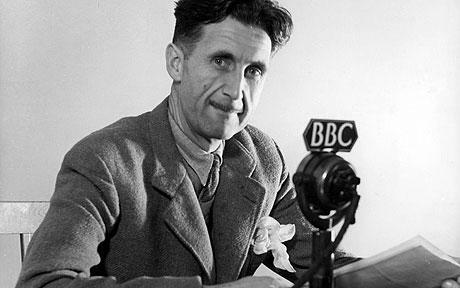 George Orwell was born in India in 1903, the son of a middle-class English civil servant who served the Empire in India for most of his adult life. Without the wealth of many English aristocrats who pillaged the tributaries of British imperialism from the late 1800’s through the end of World War II, Eliot scrapped his way through his expected education without the resources to secure his future into a life of leisure, a life that many of his contemporaries at the exclusive educational institutions that he attended took for granted and received at the end of their educational careers. Orwell learned early on that there were different lives, even within his native country, but especially in the larger world, depending on wealth and status. But George Orwell also learned and developed a gift for seeing past the class systems of his time and seeing that it was really a lack of quintessential leadership and a basic lack of human decency of care, mercy, concern, fairness, consideration, and love that separated the human race from each other. After his education in Britain, Orwell took a job as a civil servant, like his father, in Burma (Myanmar) to making a living to support his efforts to become a writer. The day he was called out because of the elephant, in heat, who had escaped from its owner (a work animal, worth a fortune to the owner, as Orwell himself attests), Orwell recounts his absolute misery as a British official in the hostile empire. The elephant, although it had wreaked havoc through the town and had killed someone, was simply an animal in heat looking for a mate. Orwell recounts his sympathy for the animal and its owner, who depended on the elephant for his livelihood. Orwell’s original intent is simply to let the elephant live until its rutting phase is done and then return it to its owner. 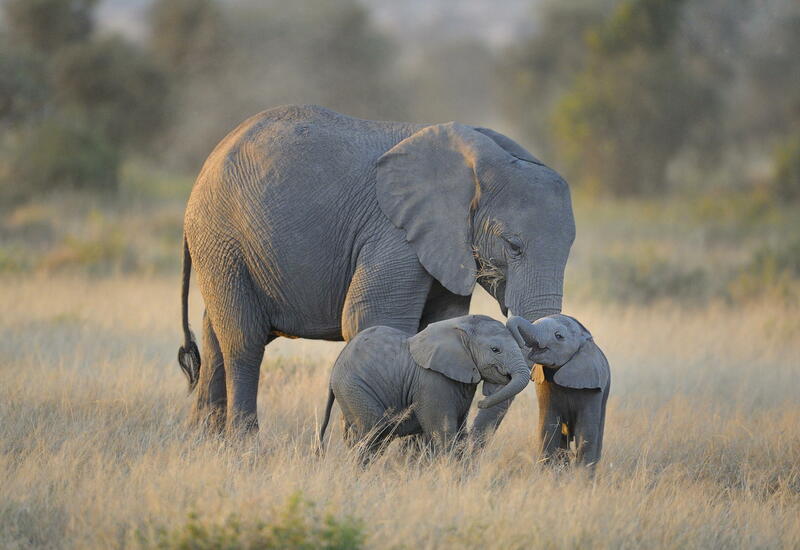 Although Orwell goes to search for the elephant with a weapon, he doesn’t intend to wound or kill it. But then the thing that can often take over all of our best intentions as quintessential leaders in handling difficult situations beset the young George Orwell and his path changed in a way that haunted him the rest of his life. As Orwell sought the elephant, the local Burmese residents gathered in swells behind him. Although they didn’t say anything, their presence indicated they wanted vindication for their dead neighbor. Orwell recounts the internal dilemma he faced between letting the elephant alone until its rutting season was done and the overwhelming sense of justice the crowd behind him demanded in killing the elephant. Orwell knew killing the elephant was wrong and he knew the loss to the owner and to his own soul it would incur. But he wrestled at the same time with the hate the Burmese felt against their British oppressors and the temporary esteem Orwell would gain if he killed the elephant. The crowd behind George Orwell, in this one instant (I don’t think there was another one like it in his life), won and Orwell shot the peacefully-grazing elephant, at the end of its mating heat, in a field. Orwell’s shot didn’t kill the elephant and he details, shot after shot, the slow, agonizing death of an animal that was simply doing what it instinctively did when mating season was upon it. Orwell also notes that the Burmese natives saw the dead elephant as a potential food source, and took full advantage of that in a gruesomely fast forage after the animal died. As hard as this essay is to read, it changed George Orwell and it was a layer of the foundation on which his later works were based. It should change us a quintessential leaders as well. I urge you to read the essay, no matter how hard it may be for you. If we know the right thing to do and we know what our personal integrity demands that we do, but the crowd around us or behind us is demanding that we do something that violates that, then we’re faced with a quintessential leader choice. Either we maintain (or grow) in our integrity (doing the right thing no matter what) or we succumb to the popular opinion (the crowd around or behind us) even though we know deep in our beings it’s the wrong thing to do. As quintessential leaders, we face this choice many times daily and throughout our lives. Choosing integrity (the right thing) is the most difficult choice sometimes. It may mean that we suffer and suffer greatly because we didn’t follow the crowd around and behind us and we didn’t give in to what would seem to be the natural thing to do in the face of what we encounter. Choosing integrity may seem to make us look weak among the crowd around and behind us: we won’t and don’t take their bait, we choose not to respond in kind nor retaliate, and we choose not to crush nor destroy what menaces us, no matter how great the pressure and/or the perceived threat. As we strive toward quintessential leadership, we must always take the long view and realize that integrity – one of the key qualities of our building trust and being trustworthy – always trumps anything else that pushes and pulls at us in the temporary present. We must never forget that the cost for sacrificing our integrity is so infinitely greater than the cost that holding on to it, no matter what, seems, in the temporary short-term, to be for us.